Healthy senses are the vital wellsprings of our life. In a profound—yet simple and straightforward—way we will explore the twelve senses as brought to us by Dr. Albert Soesman, a family physician who lived and worked in the Hague, Holland until retiring in 1983. Dr. Soesman has written a marvelous—and foundational—little book entitled Our Twelve Senses: Wellsprings of the Soul that will serve as our guide. The book offers a lively way of both understanding and experiencing not merely the usual five senses, but twelve human senses. These are the senses of touch, life, self-movement, balance, smell, taste, vision, temperature, hearing, language, the conceptual, and the ego senses. Building on the work of Rudolf Steiner, the development, expression, and functioning of each sense is imaginally described by Dr. Soesman. 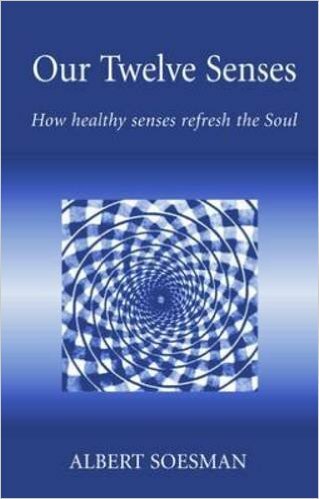 Our Twelve Senses is an invaluable contribution to spiritual psychology and anyone interested in developing an embodied, soul life that is receptive to the spiritual worlds. Our attention in this course has everything to do with the transmutation of our faculties of sense perception, so that the senses (especially the five that we are already most familiar with—touch, taste, smell, sight, and hearing) are changed into other senses, in other words, into spiritual soul sensing. Participants will focus on two of the twelve senses per month, over the course of six months. Lively discussion will be followed by specific practices aimed at helping participants understand and experience of each of the twelve senses. When: Sign up for the announcement for when this contemplative course will be offered again. When we begin, classes will take place on one Sunday afternoon per month, from 2-5 PM, for six consecutive months. Class size is limited to 10 participants. For more information or to express your interest in reserving a spot in the next offering of this contemplative course, please . . .
Sensory overload can leave us feeling empty, or even thirsting for ever more stimulation. Here is a more balanced way of experiencing the human senses. The author starts by appreciating the rich tapestry of not just five, but twelve senses. These are the senses of touch, life, self-movement, balance, smell, taste, vision, temperature, hearing, language, the conceptual and the ego senses.